So far around 50 residents have taken the test kits home. About 18 returned them and six came back with high levels of nitrates. 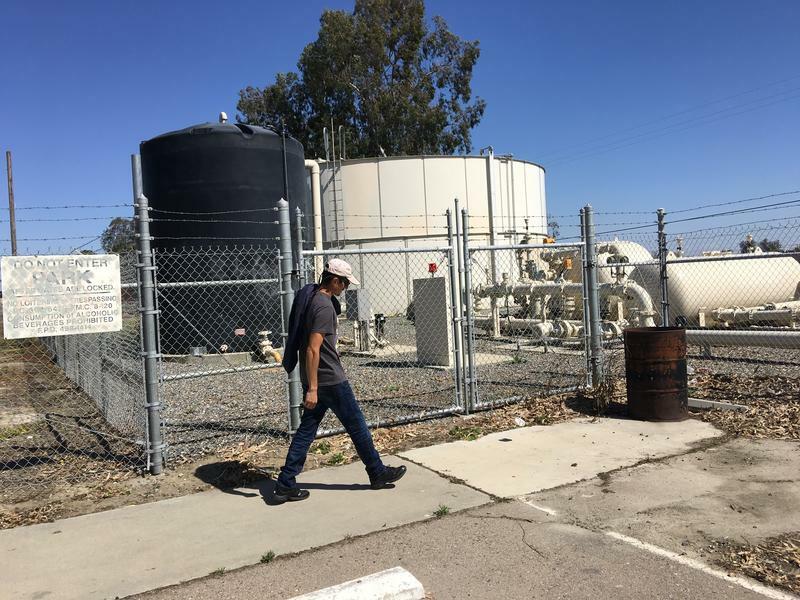 “The problem is that those people that live outside of the city and have their own well are usually the ones that have no idea what’s in their drinking water,” says Abigail Solis, a community development specialist with the Visalia non-profit Self-Help Enterprises. Solis says many residents simply don’t test their water. “They are under the misconception that because they live out in the country that their water is clean or somehow better than the water in the city,” says Solis. But it’s not. Wells in this area commonly contain unsafe levels of nitrates, which are byproducts of the fertilizer used throughout Tulare County. Drinking them is particularly harmful to infants. It restricts the flow of oxygen to the body and can lead to so-called “blue baby syndrome” or even death. 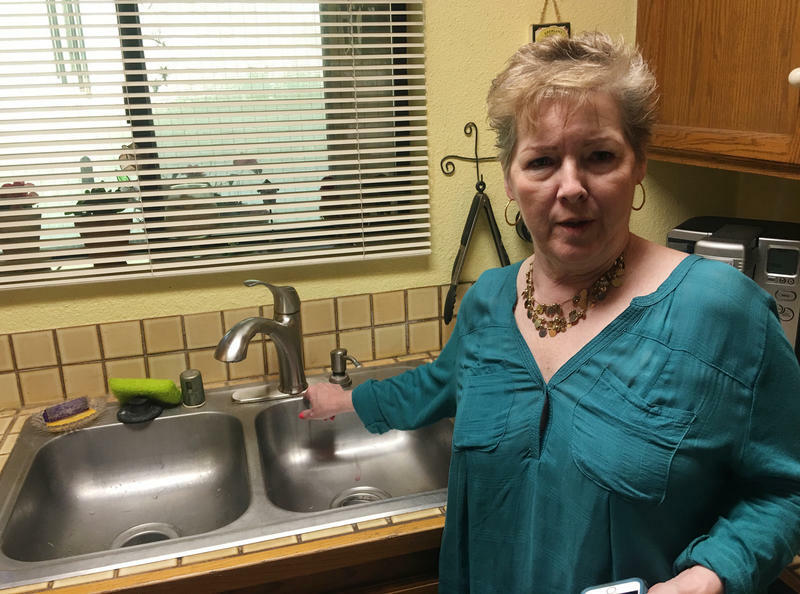 Nobody knows how many of the state’s estimated 600,000 private domestic wells pump unsafe drinking water, but in a 2006 study of some private wells in Tulare County, the state found 41% contained unsafe levels of nitrate. Solis says many families think they can just boil water to get rid of the nitrates. “However if its nitrates that we’re talking about, boiling the water would actually do more harm. It actually concentrates,” Solis says. Norma Garcia found out about the program housed at the WIC Office in Porterville from one of her friends. 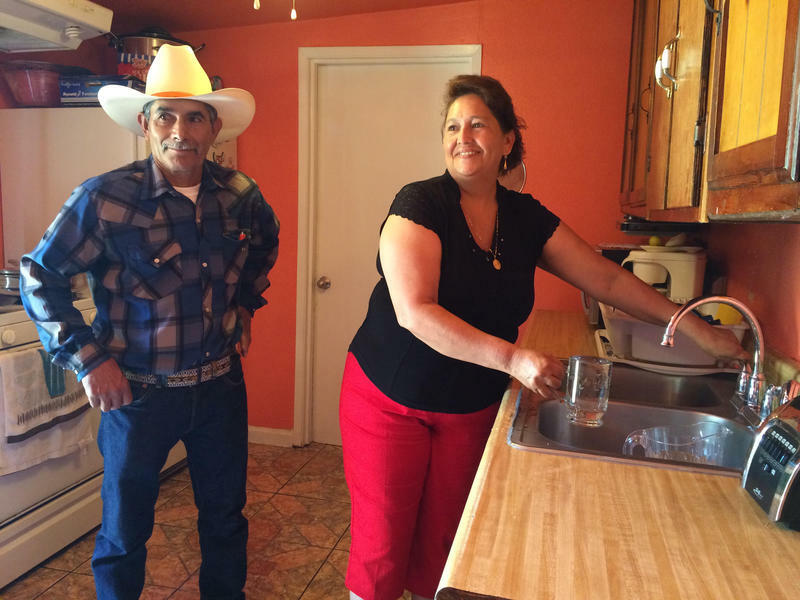 Thousands of Tulare County residents rely on private wells, but testing water is expensive, and more than a quarter of the county falls below the poverty line. That’s why Solis and Self-Help started a program to offer free testing for nitrates. It’s a six-month pilot program that targets needy parents with kids, and it’s housed at a venue that people already trust: the food and nutrition program Women, Infants and Children, or WIC. 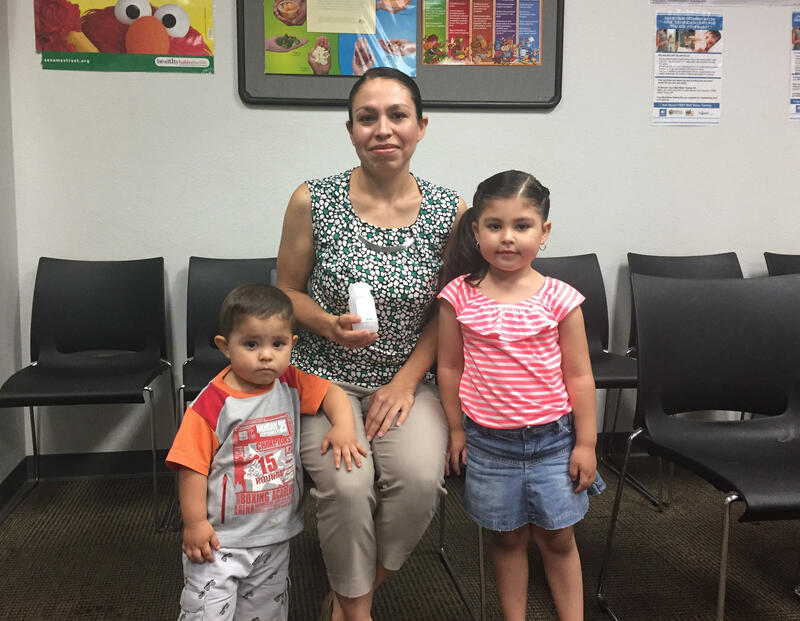 Since April, workers at the WIC Office in Porterville have offered nitrate testing kits to mothers in classes or one-on-one meetings. A kit contains a zip-lock bag with instructions and a small plastic bottle. So far, 48 women have taken the test kits home. Norma Garcia is one of them. “I didn’t hesitate to take the offer because I had heard talk about water in the area being contaminated,” says Garcia. Garcia lives on a ranch near Porterville with her husband and two toddlers. Her well water tested high for nitrates. Now Self-Help delivers 50 gallons of drinking water to her home every month. Across the state, 300 water districts are out of compliance with state code, meaning about 450,000 people can’t drink their water. But that data only includes public water systems. The state doesn’t keep track of how many of the state’s hundreds of thousands of private wells are contaminated. Joe Karkoski of the state water board says none of those private wells are the state’s responsibility. “A private well owner does not get a permit from our division of drinking water, and they're not regulated under the Safe Drinking Water Act,” says Karkoski. It doesn’t regulate water systems with fewer than 15 connections unless they’re in public places like schools, parks or rest stops. 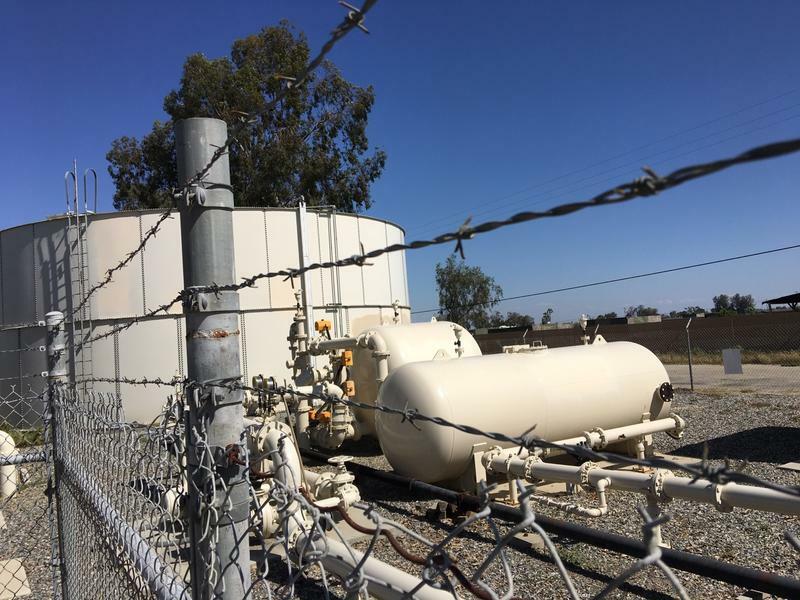 Tulare County does offer testing services to private well owners. For around $200, they test for more than just nitrates – also bacteria, uranium and a pesticide residue called DBCP. 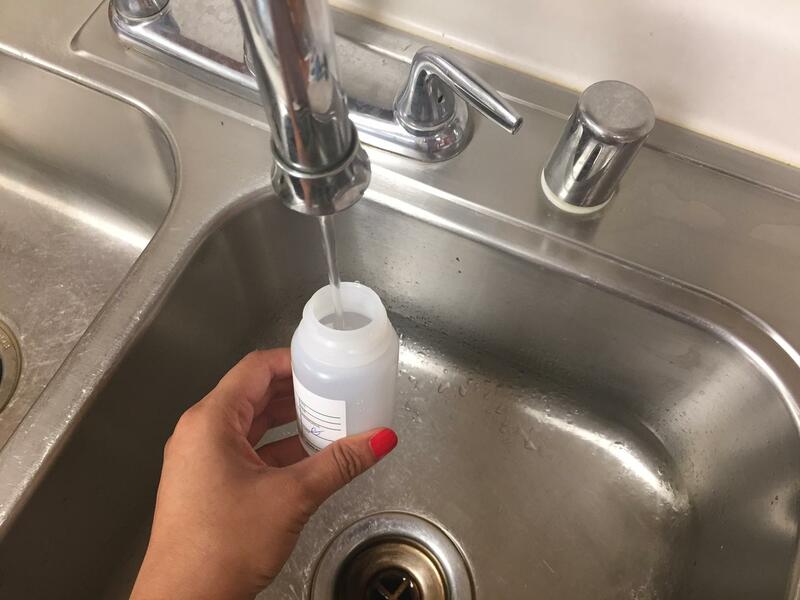 “I think it's always a good idea to know what you're drinking, especially if you have children in the home or infants that are using that water for their formula,” says Nilsa Gonzalez, Tulare County’s environmental health director. Unlike the county’s service, Self-Help’s tests are free, but that doesn’t mean people are breaking down the door of the WIC office to get them. Of the 48 women who’ve taken Self-Help kits home, only 18 have actually returned them for testing. Tulare County spokeswoman Tammie Weyker says financial anxiety prevents some people from even wanting to know what’s in their water. Abigail Solis hopes Self-Help’s partnership with WIC will help parents get over those fears. The pilot program will continue through September. If it gets renewed, Solis hopes they’ll start testing for other contaminants like arsenic. In the meantime, Solis says Self-Help is in talks with other counties to help implement similar programs.